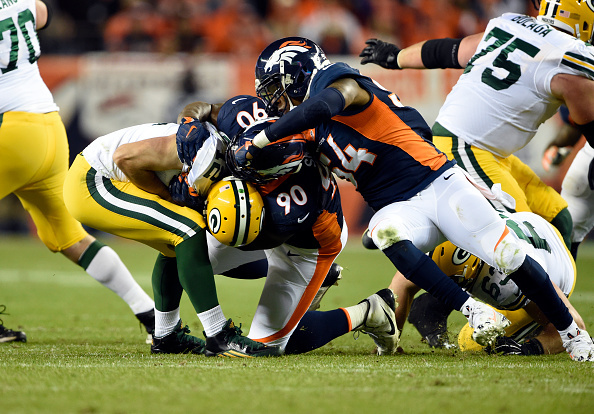 Sunday night in Denver the Packers were no match for the aggressive Broncos defense, as Green Bay for the first time in 2015 found itself on the losing end, falling 29-10. Aaron Rodgers ran for his sanity and life most of the night away from the Denver defense. He had one of the worst games of his career, throwing 14 of 22 for just 77 yards. The numbers are in face the lowest of his career in a game where he wasn’t knocked out by injury. Rodgers was sacked three times and the Packers had just 140 yards of total offense to Denver’s 500. He also gave up a safety, but at that point Denver was up 27-10 and it wasn’t a mystery who was going to walk out on the winning side this night. Peyton Manning played like it was 2005 and not 2015, throwing 21-for-29 for 350 yards with no touchdowns but a pick. He carved the Packers secondary all night, and it helped open holes for the Broncos run game. C.J. Anderson ran for 101 yards and a score, and Ronnie Hillman ran for two touchdowns in the victory for the now 7-0 Broncos. The Packers trailed it 17-0 when they finally got on the board, as their only good drive of the game ended with Eddie Lacy barreled in from two yards out with 3 minutes left in the first half to make it 17-7. Mason Crosby kicked a 56-yard field goal to close it to 17-10 in the third quarter, but Manning and the Broncos put the game away, scoring on an Anderson 28-yard TD to make it 24-10. Brandon McManus kicked a 24-yard field goal to make it 27-10, and then Rodgers was hit and fumbled, and the ball ended up in the end zone where the Pack fell on it for a safety to close out the scoring at 29-10. It was a tough loss to swallow, but one the Packers have to learn from and bounce back from. 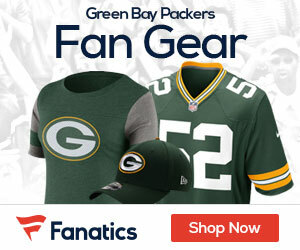 Things don’t get easier for the Packers, as they will be in Carolina on Sunday to take on the very good Carolina Panthers.